All major faiths support organ, eye and tissue donation and many consider organ donation to be selfless act of compassion. Other religions leave the choice to the individual and fully support that decision. For example, in Judaism, it is considered a great mitzvah to give the gift of life through organ donation. And, followers of Islam are encouraged to give their organs upon death or while living. Moreover, the Vatican supports organ donation for all Catholics and considers it a selfless act of compassion. Donor Alliance has provided free resources for you to share with your faith community. This includes: church bulletins, poster, seed packets, educational materials and more. Use these resources at any time or during National Donor Sabbath in November! 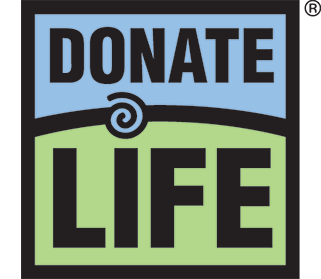 National Donor Sabbath (NDS), observed on the Friday, Saturday, and Sunday two weekends before Thanksgiving, is a time for the faithful from all denominations to come together and raise awareness about organ, eye and tissue donation to save lives. This three-day observance seeks to include the days of worship for major religions practiced in the United States. During NDS, faith leaders, donor families, transplant recipients, and transplantation professionals participate in programs to educate the public about the lifesaving gift of donation and transplantation. In addition, they encourage the community to register as organ, eye and tissue donors. 1. Share on Social Media: Use our graphics and testimonials of local people touched by organ, eye and tissue donation and share them on social media. You can also share one of our videos. Share on your personal accounts or encourage your faith community to share! 2. Distribute Educational Materials at Your Faith Community: Print our free educational materials such as posters and bulletins and passed them during service or put them up on the bulletin board. Don’t have a printer? No problem, you can also request hard copy materials. 3. Order Free Giveaways for your Faith Community: Order up to 20 special seed packets to give to members of your faith community and up to 25 prayer cards for Catholic churches. These free giveaways are a great resource to use during your National Donor Sabbath activities. 4. Ask your Faith Community to Host an Info Table or Invite a Speaker: Celebrate National Donor Sabbath by engaging your faith community and bringing the message of organ, eye and tissue donation to your fellow parishioners. Sample Sermon – Pastors, ministers and other religious leaders can use this document as a starting point to when dedicating a sermon to the lifesaving topic of organ, eye and tissue donation.